Many interesting debates sparked off when the Singapore Budget 2013 was released, but it seems the change in regulation related to the local automotive industry made the biggest impact, especially to those who have been waiting and waiting to buy a car. Those who thought there would be high number of de-registrations resulting in more COE quota and thus lower COE prices come 2016 — it came early, albeit with a twist. The increase in ARF is relatively insignificant at this point unless you are buying a McLaren or Ferrari. The relative change in depreciation is only half the amount of the increase, i.e. if you are paying $10K more for ARF, the increase in depreciation is only $5K more or $500/year. This is because 50% of the ARF is refundable at the end of 10 years. No more 0% down payment and buying cars at pasar malam. Many middle income and fresh graduates are probably screaming that their dreams are busted. While I personally think 40-50% is quite extreme (30-40% would have been more manageable), I feel it is good that MAS placed a cap to enforce financial prudence. One should never buy an expensive car with no upfront cash. That said, I think there is a possibility that MAS will review these limits in another 1-2 years after the market has stabilized given the potential impact it may have on businesses. From my limited understanding, used cars are subject to the same terms: Maximum 5 years and at least 40% or 50% down payment (depending on OMV at time of registration). This means if you buy a 5 year old car, you can take a full 5 year loan with a 40% or 50% cash outlay. So what does this mean for the car buyer? 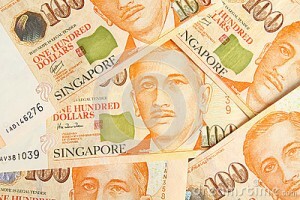 COE prices will drop by applying simple supply-demand mechanics; I am guessing to 2010-2011 levels or between $30-60K. This also means that new car prices will drop across the board except for very high end luxury cars with OMV exceeding $80K. Loan interests will go up. The supply-demand concept does not work for auto loans because the demand is relatively inelastic. Recall in 2008 interest rates were 2.8% despite cars being cheap and demand being high. With the new rules banks lose up to 75% of their revenue and will find ways to recover them. Cashback schemes and overtrades will be back with a vengeance. Interest rates for these schemes may go up to 6%. Used car prices will also follow the drop in tandem with new car prices, albeit with a delay. A lot of used car dealers took in cars at inflated values over the past few years. They will have to let their overpriced stocks erode. So my advice is to wait a bit. Relatively new cars purchased between late 2010 to early 2013 will suddenly lose their resale value as COE prices tumble. Owners of these cars will have to hold on to their cars longer before selling. Car modification workshops will huat. Used cars above 4 years of age suddenly becomes very attractive. People who are tight on finances should look to buy older cars with much lesser initial outlay. There is a possibility that older car prices start to rise due to the increased demand caused by lower cash outlay. COE renewal will become viable as COE prices tumble. The cash outlay for a COE renewal versus down payment for a new car are going to match up really close. We will start to see a lot of old Nissan Sunny and Mitsubishi Lancers. Repair workshops will huat. Hopefully prices of motor insurance will drop due to reduced car prices, but I think that would be fat hope. That said, can a person with about $8-10K of cash to spare still buy a car? Yes he/she can. A small hatchback from 2005 will give him/her an extremely low monthly installments at only S$200+. Now that is much more financially sound. In summary, the government is telling you that when COE drops to $30K it’s not for you to go buy a Ferrari, and that with S$5K in your bank don’t go and buy car. What it also means is that have car workshop will huat.